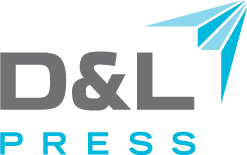 D&L Press Inc. is honored to be one of your approved district contract print providers. We strive to bring to our clients a level of service and quality that has sustained us for 55 years in Phoenix. Thank You for taking this time to explore what we have to offer. The D&L Press team is ready and willing to assist. If you received communication that brought you to this page we may already have set you up with an account. Use your Email address and the Password "glendale" to gain access. Our Portal is a great way for us to communicate with you. As an introduction we would like to offer a FREE Personalized note pad. Use your portal login and follow the instructions. If you need assistance Brad or Jerry will be glad to help.